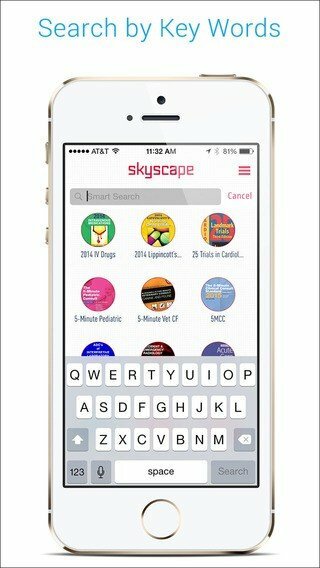 The free Skyscape app comes loaded with a valuable package of medical resources, including drug information, medical calculators and clinical information on over 850 topics. •Skyscape Rx: Comprehensive information on thousands of brands and generics, with interactions (including multi-drug analyzer tool), pill images and over 400 integrated dosing calculators. 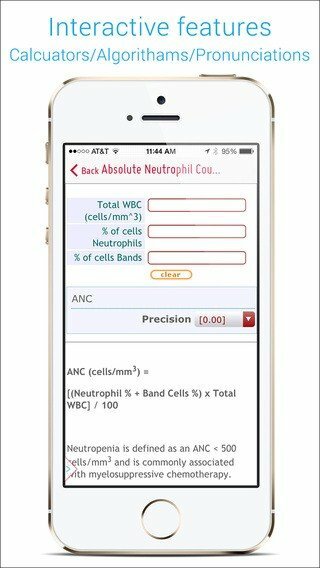 •Skyscape Clinical Calculator: Medical calculator with more than 200 interactive tools, organized by specialty. •Skyscape Clinical Consult: Evidence-based clinical information on hundreds of diseases and symptom-related topics, presented in convenient outline format. •MedBeats™: In-context and specialty-focused journal summaries, trial results, breaking clinical news, drug alerts and other information, fully integrated with the app’s global search and SmartLink.